In our view, there are no problem animals, only problem people. 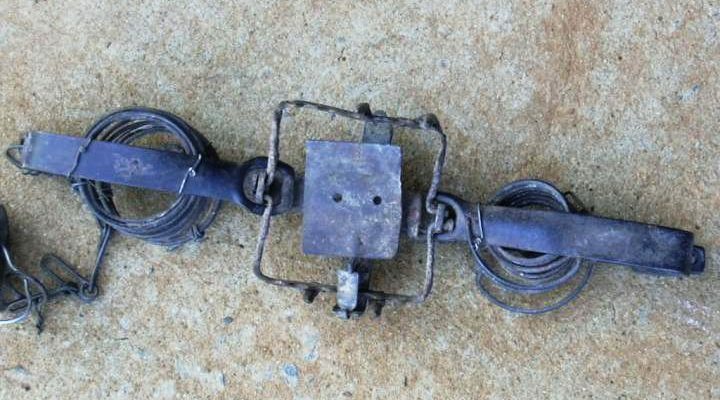 Gin traps are legally allowed in South Africa in the use of predator control. The agricultural sector promotes it and continues to fight to retain the use of leghold traps. 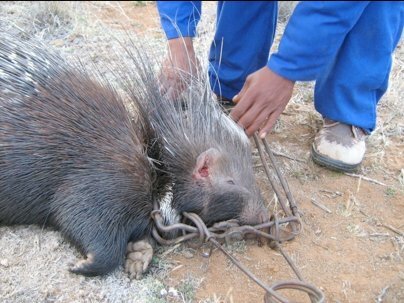 Certain government conservation agencies and conservation NGOs are promoting the use so-called “soft” traps, where animals continue to break bones, have blood supply cut off (with ensuing gangrene and death; the traps still tear ligaments and tissues and the animals still chew off their limbs and break their teeth trying to free themselves from these devices. The trap has rubber edges without teeth and a tiny gap – a trap that will still cause immense pain and suffering! Try slamming your car door shut on your hand and leaving it there for a minute or so and you may have some marginal inkling of what a terrified trapped animal may undergo for many hours before death. Thousands of these gin or leg hold traps are laid monthly. A factory in Prince Albert, is still manufacturing as many as 1200 gin traps each month. It is estimated that between 12 000 and 15 000 of these traps are purchased and used annually, and like land mines, lie waiting, perhaps for the next 15 to 20 years, for the next unsuspecting human or non human to walk into those jaws of death, especially in far lying areas where traps are definitely not checked on a regular basis is at all. Gin-traps, snares, poison such as the dreaded 1080, or the use of barbed wire in burrows are all commonplace. The barbed wire involves a length fed into the hole which is twisted until the barbs catch in the coat of the trapped animal. Twisting continues until the animal’s coat has been rolled around the barbs. Once impaled in this manner, the animal, target animal or not, is hauled out of the burrow to waiting dogs who will tear them to pieces. Behind the euphemism of ‘problem animal control’ lies immense and barbaric cruelty. Beauty Without Cruelty’s position which favours outlawing the use of gin traps for the benefit of all animals who fall prey to these terrible devices. To this end we recognize the need for non-lethal deterrents for farmers, all of which have been successful elsewhere. Despite decades in intense persecution, farmers have failed to eliminate jackal and caracal, demonstrating the futility of attempting to eradicate them from farmland. Perhaps the most acceptable non lethal method is either to mesh-fence only the outer perimeter of the farm or alternatively only certain camps which are used for lambing. Electric fencing is commonly promoted or used as an alternative method of keeping predators out of certain camps and may appear to be an ecologically sensitive method of predator management, however if electric fencing is to be used, then the height of the live strands must be carefully assessed so as to avoid the unnecessary electrocution of small animals such as tortoises and pangolins. The advantage of cage traps over other traps is that captured animals are not injured and non-target animals can be released unharmed, provided trapped predators are relocated and if cage traps are not checked at least every day, then there is a high risk that trapped animals will die of dehydration, and in such circumstances there is little difference in terms of animal cruelty between cage traps and gin traps.Guard dogs have been heavily promoted as an effective non-lethal solution for predator control. and can reportedly reduce losses to predators by as much as 80%.Guard dogs have been very successful and are a viable option, but only if the required training is undertaken. Donkeys and Alpacas are also used as guard animals as they are more alert than livestock and are aggressive towards predators. A return to human guarding of livestock has many advantages. 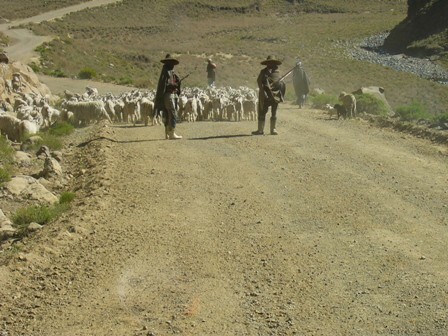 Shepherds walking with livestock can deter predators that attack the herd and report on problems such as plant poisonings and illnesses, thereby pre-empting a number of causes of livestock mortality. Shepherding has had a revival in Europe and would have a better image if shepherds were trained as specialists and worked in shifts to allow adequate family and social contact. Beauty Without Cruelty’s primary concern is educating and informing people about the suffering of animals who are victims of vivisection, cruel farming methods and wildlife exploitation, but, as unlikely as it may seem, all of these issues have an overlapping unseen cruelty in common that is hardly ever mentioned. Appalling suffering is inflicted on so-called “problem” animals, millions of whom are killed and maimed by farmers, who care more about profit making than about providing humane protection for their animals. The cruelty suffered by “problem” animals is seldom discussed or challenged and often goes unnoticed in anti-fur, vivisection or farming campaigns. When people learn about the suffering of animals caught up in the modern farming system, or about animals used in research, they only see the immediate problem; animals kept in cramped, unnatural conditions while undergoing painful experiments, or factory farmed animals whose lives from birth to death involve appalling mutilations, stressful living conditions and painful deaths. But, on the outside looking in are the animals farmers blame for their “stock” losses – baboons, leopards, jackal, lynx and many non-target animals, whose fate is every bit as pain filled and stressful as the animals for whom they die. Baboons and monkeys used in research are caught in traps, set on farms where they are considered problem animals and vermin. Many of them are shot, but the unlucky ones may be used in scientific research studies, which can last for weeks or months – even years. Farmers lose millions of rands every year as a result of stock predation and instead of installing more effective non-lethal measures to protect their animals, cruel gin traps are set to catch predators resulting in the death and maiming of not only those targeted, but countless non-target animals who get caught instead. Many an animal has chewed its paw off in a desperate attempt to escape from these traps and the pain and suffering caused is unimaginable and totally unacceptable when humane methods of protection are readily available! Poisons too are used to kill predator animals and one of the worst, 1080, is still available in South Africa. The poison was originally developed by the Nazis and its effects on humans, and animals, is frightening. Not only is the poison deadly to predator animals, but also to unsuspecting scavengers, insects and non-target animals, who either eat the bait directly or feed on the bodies of already dead animals. It’s not uncommon to see the bodies of dead jackal hanging from farm fences, although the reason for doing this is unclear! Those who have taken part in studies to assess the effectiveness of e.g. 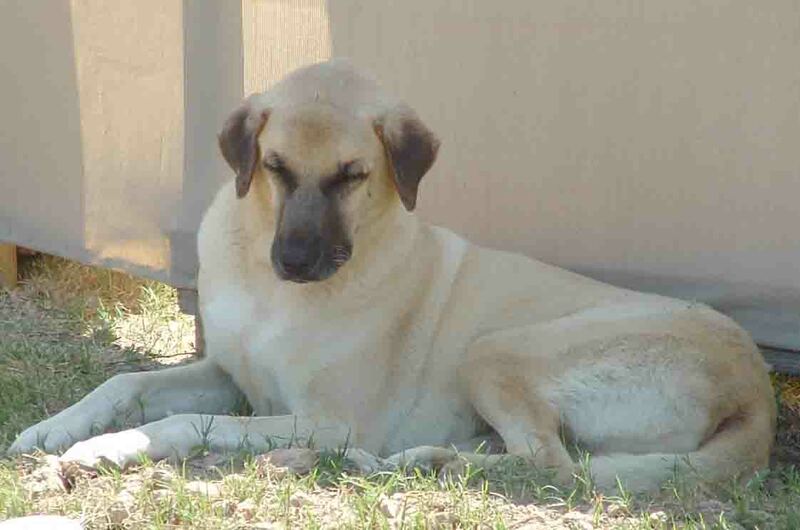 the use of Anatolian guard dogs have reported a significant reduction in losses. 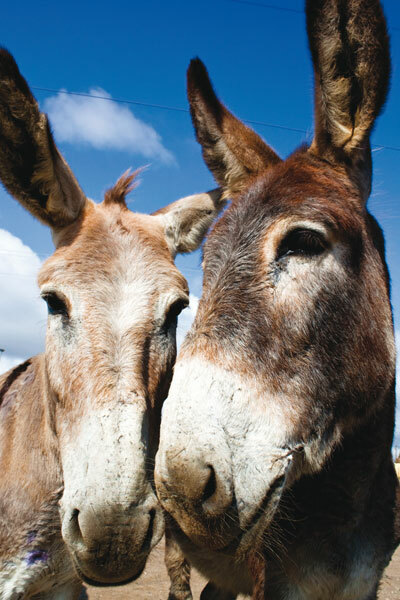 Other methods of defence are the use of donkeys, llama, electric fencing, collars, the installation of noise and light devices and the reintroduction of the old fashioned herder. The use of one or more of these non-lethal protective measures can be more effective than the use of cruel traps, poisoning or hunting. Non-lethal controls that have been implemented on some commercial farms indicates a significant economic and production improvement on these farms when compared to previously used lethal controls such as hunting and using gin-traps. 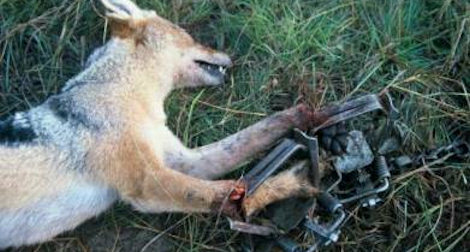 Sadly we still have legislation that makes it legal to set leg hold traps , to use poisons and even to hunt predators from helicopters. and production bodies like the National Woolgrowers, the South African Mohair Growers and Red Meat Producers Organization are calling for more lethal controls of predators through indiscriminate methods, even though these methods are in fact casuig the problem! Hardly any facet of our lives is not either directly or indirectly tainted by cruelty to animals and when we learn the truth about the part we play in their suffering, we need to decide whether we want to be part of the problem, or part of the solution!